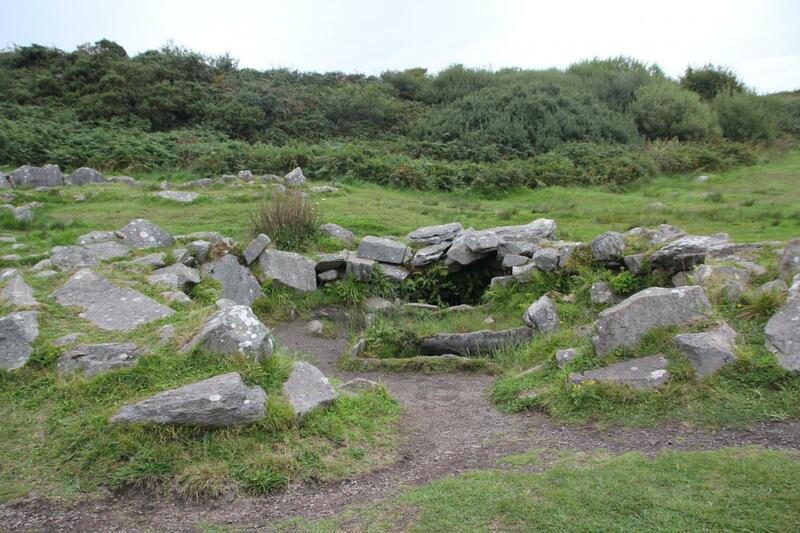 Pronounced FULL-ahk FEE-add (plural 'fulachtai fia'), versions of this Bronze Age structure exist all around Ireland and throughout the United Kingdom, however archaeologists are not agreed on their purpose. There are nearly 6,000 recorded fulacht fiadh sites dotted around Ireland alone. Today they appear as a horseshoe-shaped mound of soil and rocks surrounding a depression in the ground. Although commonplace and easy to identify, the fulacht fiadh remains enigmatic. Various theories have been put forward, but a lack of consistent artefacts associated with any of the proposed activities at excavated sites continues to obscure their purpose. Fulacht fiadh sites typically date to the Middle Bronze Age (1800 BCE). The structures are usually found alone, but also appear in groups of two to six, as close as 5 metres or so from one another. "Most fulacht fiadh sites are somewhat isolated, with only a few having been found as part of a permanent settlement," says Emer Dennehy, an Irish archaeologist with the Railway Procurement Agency in Dublin who studies the fulachtai fia. "It was convenient to locate these sites close to wet and damp areas, which would not have been suitable for habitation." 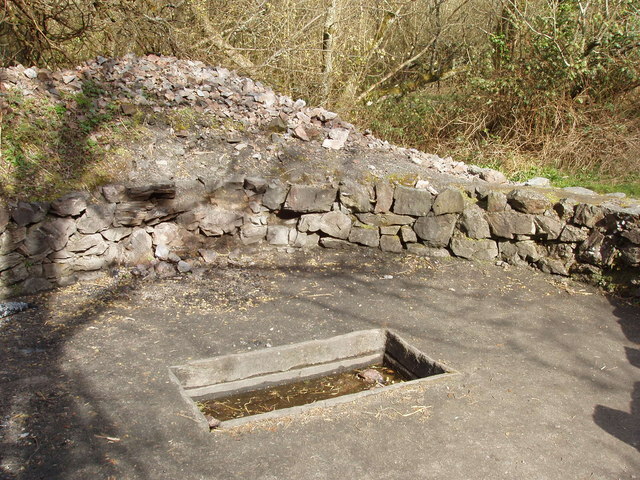 Wetland locations allowed the troughs to be self-filling, either because they were situated below the water table or because they were built directly above a spring. Most are roughly rectangular and average 1.5 metres in length, 1.2 in width, and 0.6 in depth. Most that have been excavated are unlined, but roughly 30 percent are lined with clay, wood, or stone slabs. Surrounding the troughs are U-shaped mounds of stones which average roughly 1 metre high but can reach more than 2 metres, composed of sandstone or limestone. Neither rock type is typically found close to fulacht fiadh sites, indicating that the people chose the stones deliberately. "You can be absolutely sure it was used for boiling water," says John Waddell, an emeritus professor of archaeology at the National University of Ireland, Galway. "It's the one certain thing about the fulacht fiadh." Dennehy explains, "The stones that were heated and shattered during this process were discarded nearby, gradually accumulating to form the mound surrounding the trough." In Gaelic, 'fulacht' means 'cavity,' though as interpreted through Irish literature it can mean cooking site. 'Fiadh' means 'wild deer', and until recently the conventional wisdom has been that the fulacht fiadh was used for cooking. In the UK, they are known simply as 'burnt mounds'. Declan Moore and fellow archaeologist Billy Quinn were the latest to practice experimental archaeology with the fulacht fiadh. 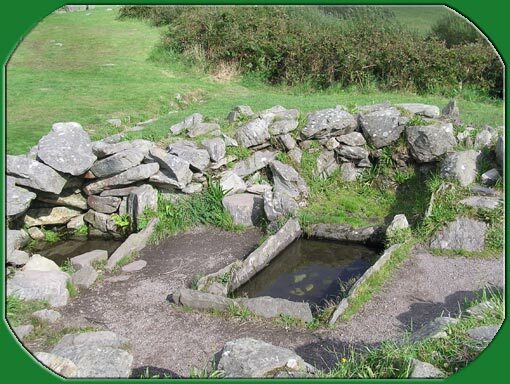 Quinn's insight: Perhaps the mysterious Irish archaeological structure was used as an ancient brewing site. Moore and Quinn decided to make their own fulacht fiadh brew, producing around 100 litres of copper-coloured ale with a smoky flavour. To support their theory, Moore and Quinn point to the discovery of grinding stones at fulacht fiadh sites in both Ireland and the United Kingdom, as well as confirmed findings of traces of cereal grain and wheat near a Bronze Age wooden trough at a site in Wales in 2009. 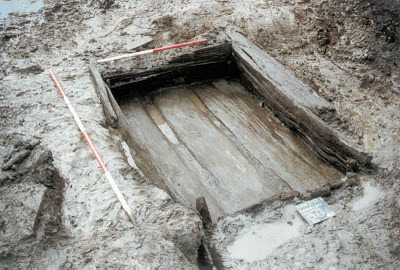 Quinn says, "Overall the fulacht fiadh may have indeed been multifunctional, something like our modern kitchen sink - used for many different purposes."